Our new online shop "Liebschau" was opened. Here you will find collars, leashes, harnesses and also many creative accessories around your dog. A long awaited dream become true. After I had completed my graduation in fashion school in Graz in year 2009, I've always wanted to open a shop for dog stuff. With the support of my boyfriend I took the plunge and registerd the firm "Liebschau". 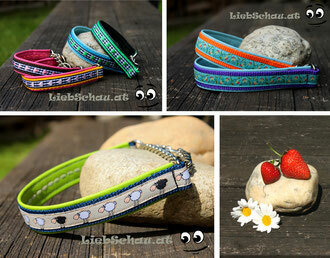 I'm happy about visitors to our website www.liebschau.at and maybe you will find something for your dog.